It's been rather a long time since my last post for which I must apologise. The last few months have been a bit of a whirlwind! We've been busying ourselves making a lot of changes which many of you will have noticed. The Croft House website got a brand new look. We started our instagram page (find the instagram button at the bottom of all the website pages). 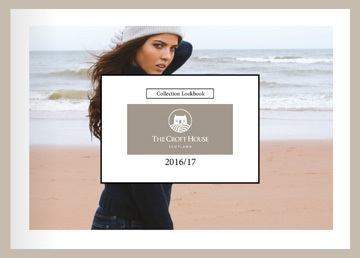 After many requests for a catalogue we launched our first ever lookbook which you can find on the menu bar of the website. And our first trip south of the Border to the London wool fair gave us the opportunity to meet new customers. Not to mention that we had our busiest winter yet as more and more people discover The Croft House. The Spring is always busy as we prepare the new autumn winter designs. But we are also hard at work bringing new innovations. We have just launched our international website pages (accessible to our customers overseas) and customers now have the opportunity to leave product reviews on the UK website if they wish. We are always keen to hear from our customers how we can make The Croft House better so drop us an email on our contact page if you have any suggestions!